Earlier this week, “The Screem,” an iconic painting by Norwegian impressionism artist Edvard Munch was sold at auction [PDF] by the famous Sotheby’s auction house. The hammer price with auction premium was a record $119,922,500 to an anonymous buyer. Classic works of iconic designs do very well at auction. In the numismatic world, Augustus Saint-Gaudens’ Liberty design is one of those iconic image. First appearing in 1909, it was used on all $20 Double Eagle coins struck until 1933. When the American Eagle bullion program was introduced, the design was returned to the American Gold Eagle coins. 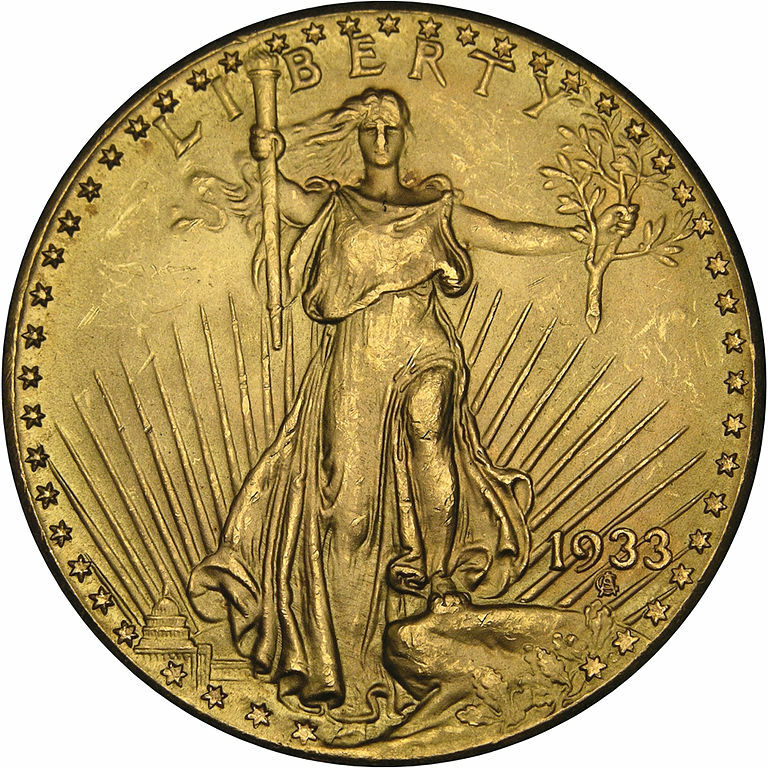 Of the coins bearing the Saint-Gaudens design, the 1933 Double Eagle is the most iconic of the series. It was not supposed to exist. After two were sent to the Smithsonian Institute, the balance of the 445,500 mintage was supposed to have been destroyed as part of the gold recall ordered by Franklin D. Roosevelt at the beginning of his presidency. In a story that inspired two very good books, it was found that the only 1933 Double Eagle that is legally in private hands was once authorized to be exported to Egypt to be in King Farouk’s collection. After many years of fighting, the auction by Sotheby’s-Stacks sold the coin to a private collector for $7,590,020 in 2002, with $20 being paid directly to the U.S. Treasury to monetize the coin. This remains the record for the sale of a single coin. If a good story sells a coin, then the story of the 1933 Double Eagle will continue to drive up the price of the coin. Last July, a jury awarded ten 1933 Double Eagle coins owned by Joan Landbord to the government. Langbord, the daughter of Israel Switt, claims to have found the coins while searching through her father’s old goods. On more than one occasion, Switt has been accused of being the source of the 1933 Double Eagle coins that made it out of the Philadelphia Mint. Although the coins remain locked up at the United States Bullion Depository in Fort Knox, Kentucky, the Langbord family is planning an appeal of the court’s decision. Even through there are three other known specimens, this story is going to drive up the price of these coins. Stories can turn an average design into something spectacular. For instance, the 1913 Liberty Head Nickel does not have one of those iconic designs. In fact, President Theodore Roosevelt called the design by the Mint’s Chief Engraver Charles Barber “hideous.” But as an extension of Roosevelt’s “pet crime,” the coin was being replaced by the to-be-iconic Buffalo Nickel design by James Earle Fraser. But in 1913, Mint employee Samuel Brown allegedly had five examples of the Liberty Head design struck as souvenirs. The story becomes more interesting with the pedigree of each coin. The Eliasberg Specimen once was a feature of the Louis Eliasberg collection, a Baltimore financier who attempted to collect an example of every known coin. This coin was sold in 2007 to a private collector for $5 million, currently the second most amount paid for a single coin. Other storied coins include the Olsen Specimen that was once owned by Egypt’s King Farouk and appeared on the first version of the television show Hawaii Five-0. The McDermott specimen is the only one that shows signs of circulation and is now part of the American Numismatic Association Money Museum’s collection. The Norweb Specimen is now part of the Smithsonian Institute’s National Numismatic Collection. The Walton Specimen was once owned by dealer and collector George O. Walton who died in an automobile accident in 1962. In an attempt to auction the coin in 1963, it was thought to be one of the copies that Walton was known to carry around. For forty years, Walton’s daughter kept the coin in a box that was sitting in the bottom of a closet. The coin was brought to the 2003 ANA World’s Fair of Money in Baltimore where a group of experts spent hours authenticating the coin as genuine. Recently, the 1792 Silver Center Cent, a pattern that was the first coin struck at the new Philadelphia Mint, sold for $1.15 million. 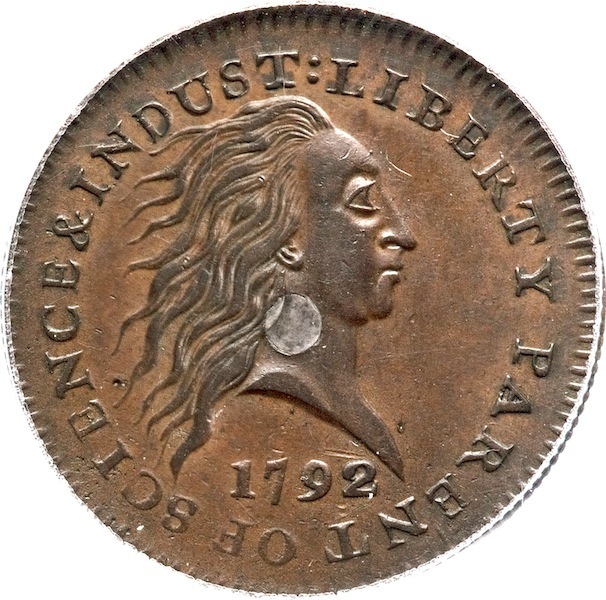 Its design features the work of chief coiner Henry Voight, whose liberty head design has been described as “scary.” But it is the story of the founding of the Mint and of the Mint’s first director, David Rittenhouse. We may never see rare coins sell for the same prices as famous works of art, but the numismatic community can celebrate the stories and history of these iconic coins in a way that the art world is not able to, which makes numismatics a special hobby. 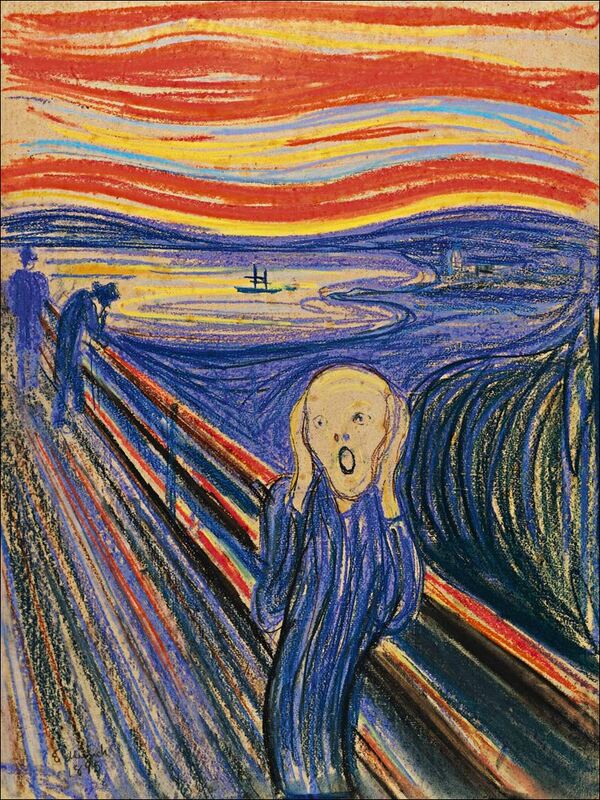 Image of The Scream courtesy of the Associated Press. 1933 Double Eagle image courtesy of Wikimedia Commons. Eliasberg 1913 Liberty Head Nickel image courtesy of Wikimedia Commons. Image of the 1792 Silver Center Cent Pattern courtesy of Heritage Auction Galleries.